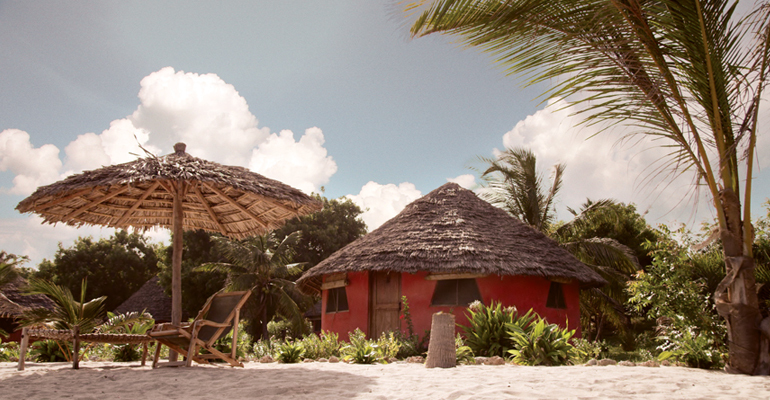 Reach an unspoiled corner of Tanzania! 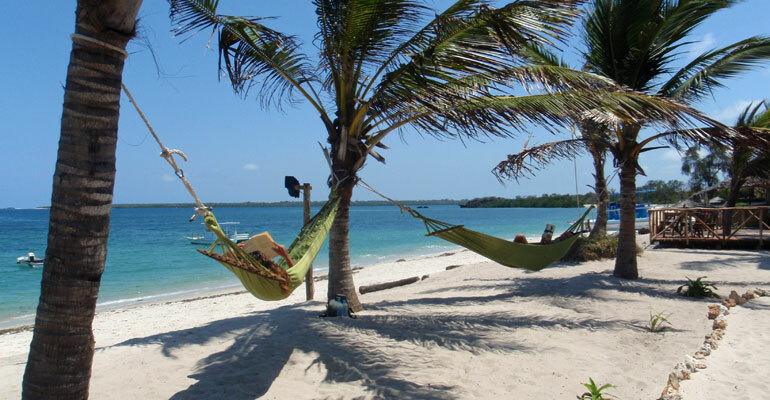 The white fine sand, temperate climate, old style fisherman’s village and outstanding wonders of African lush sea life and vegetation are just the edge of the fascinating environment of Kilwa Masoko. Kilwa is famous in the world not only for deep-sea fishing and, but is becoming the last frontier for top divers and also for the ruins that are a UNESCO World Heritage Site. 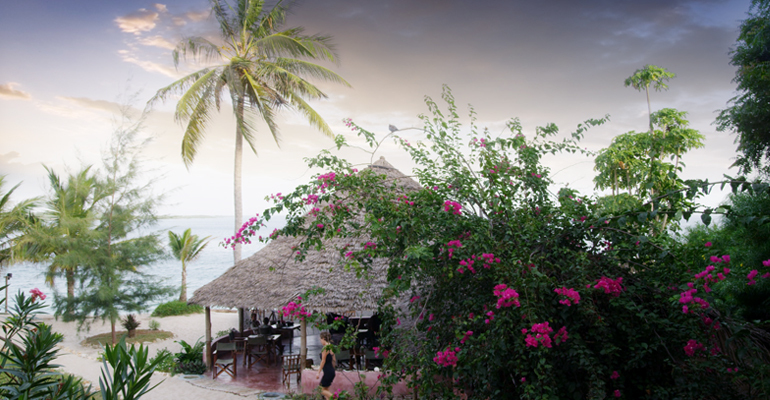 Kimbilio Lodge is located on the Kilwa beach in Mso Bay, just on the waterfront, in one of the most beautiful and still unspoiled corners of the world. “Kimbilio” means “safe heaven” in Swahili. The Lodge has been conceived to offer the visitor a unique sensation of peace and privacy. You will feel comfortable from the first very moment you will land in this corner of paradise. 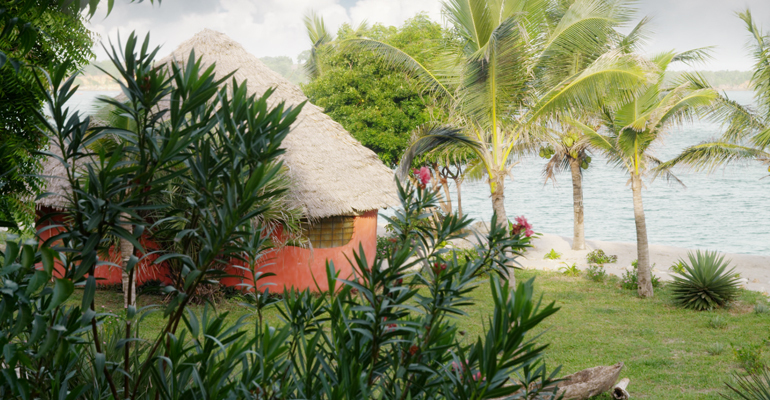 Kimbilio Lodge is a small family style 6 rooms lodge by the beach. The atmosphere is genuine and friendly, the food is delicious with a Italian family flare. The Italian management ensures real Italian style merged with a sound African experience, bringing to life a magic mixture of colours, flavours and sensations, to make your stay a unique experience. No detail has been left behind; each piece of the furniture is unique, as almost all has been crafted by hand with creativity and style. Having only few bungalows guarantees a spacious and friendly environment, maintaining the African flavour of space and freedom for leaving the environment to be the leading feeling. 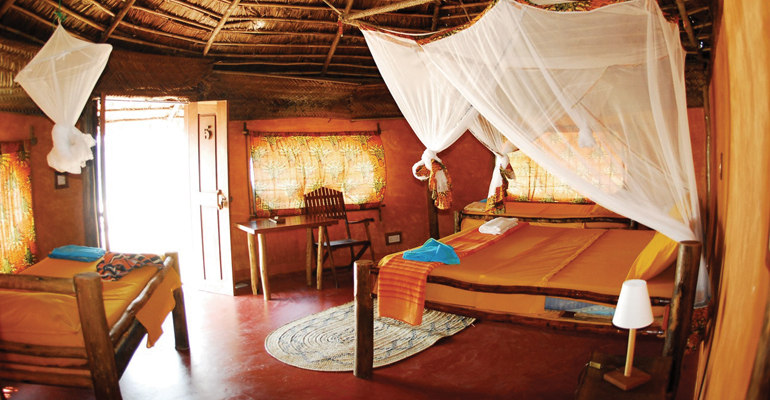 The bungalows are round circled with real African makuti roof, very spacious and able to hosting from one to four guests. In the Restaurant-Bar-Lounge, round circled as well, with the connected beach deck, you can find cold drinks, cocktails, international and specific Italian specialities, and on top of all, an atmosphere you will never forget. Activities includes trips to the ruins, diving and fishing. You can also explore the meandering river and look for hippos and birds. 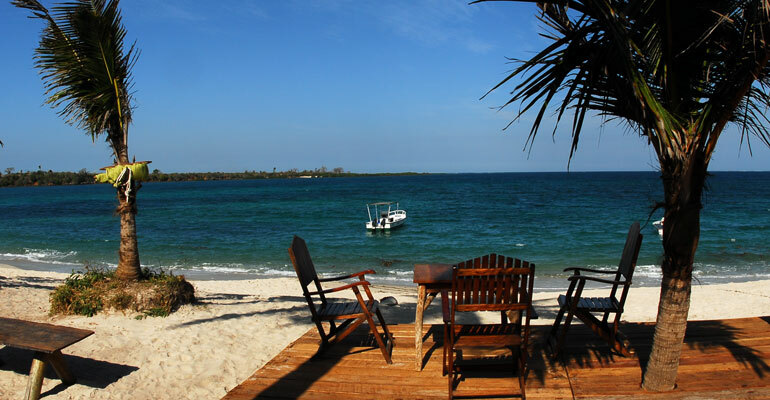 Diving: diving in Kilwa is a great experience for all divers, right from Kimbilio Lodge. Kilwa Masoko gives a great diversity with numerous options ranging from shallow dives, deep dives, caves, to drift dives and archeological dives. Visibility is usually above 20 mt. The diving centre, the only one in a 200 miles radius, has brand new equipment, Bauer compressors. We dive with groups of up 10 divers. 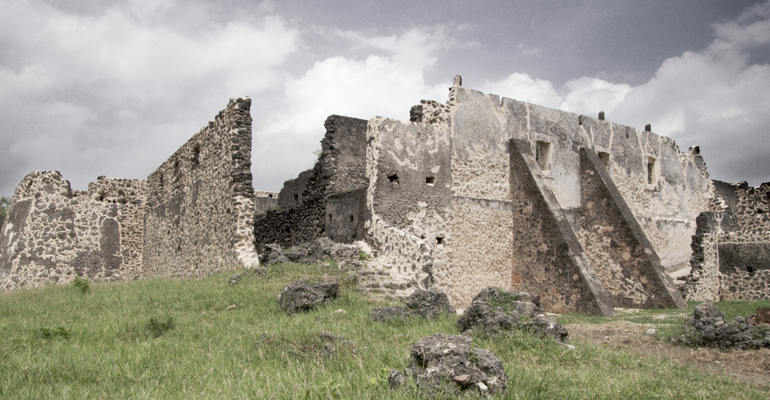 Kilwa Ruins: 10 min. 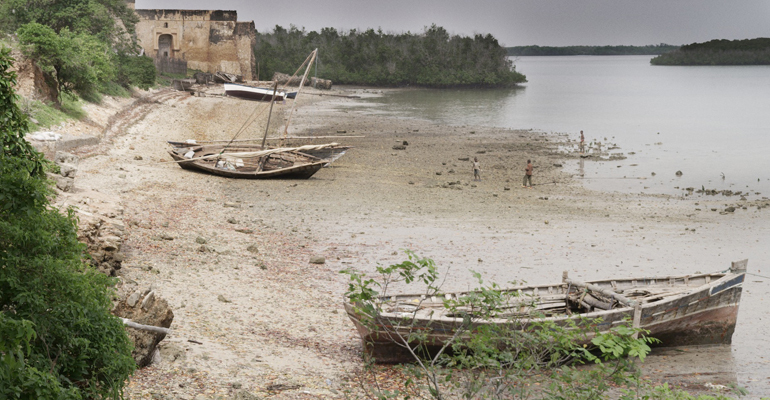 boat ride from Kimbilio Lodge, on the island of Kilwa Kiswani is possible to visit the ruins of an old Omani settlement. The largest and well kept in East Africa. – Kimbilio Lodge is small and therefore can accommodate a small number of guests per time, which means smaller needs in terms of energies and supplies. – employs form the local community: the staff of the Lodge are all from the community leaving in the Kilwa area. – buys supplies locally, reducing to the minimum good’s road transportation and again creating alternative and more environmental respectful local economies. By Air: Kilwa Masoko airport can be reached after an hour and 20 minutes flight from Dar es Salaam. From airport, a taxi or a “bajaji” will drive you to the Lodge in only 15 minutes. By car: Within 5 hours of drive from Dar es Salaam, Kilwa is reached. 90% of the road is already on tarmac, the rest will be asphalted in the next future. Activities: diving, fishing, Kilwa ruins excursion, hippo and bird watching excursions, sand bank trip.